A seven-game major-league career rarely affords a player much chance to leave a lasting impression on the game. Still, the imprint left by turn-of-the-century left-hander Warren McLaughlin is fainter than that of most marginal big leaguers. The availability of box scores from the era permits baseball reference works to construct a statistical line for McLaughlin, and the three complete-game victories that he posted during an 11-day span for the 1902 Pittsburgh Pirates indicate that he had some ability. But McLaughlin’s major-league career ended early the following year, and much detail about his baseball life remains unknown. Even such elementary data as his middle name, height, whether he batted lefty or righty, or what he threw for his out pitch, have been lost to time. What follows, therefore, is a less-than-definitive account of McLaughlin’s life and his progress in the professional playing ranks. Meanwhile in the majors, aggressive player raiding by the newly arrived American League had placed the established baseball world in turmoil – except in Pittsburgh, where either good fortune or the insidious design of AL President Ban Johnson had left the Pirates’ roster unmolested. With the nucleus of a good 1901 club left intact, Pittsburgh rendered the 1902 National League pennant race noncompetitive. By season’s end, the 103-36 (.741) Pirates would be 27½ games ahead of second-place Brooklyn. Toward the end of the campaign, however, there were rumblings that staff mainstays like Jack Chesbro and Jess Tannehill were contemplating a jump to the AL.19 Pittsburgh player-manager Fred Clarke therefore devoted otherwise meaningless September games to the auditioning of next-season pitching prospects, including newly signed Connecticut League ace Warren McLaughlin. Days later, Philadelphia released the 27-year-old McLaughlin, bringing his major-league career to a close. In small parts of three seasons, he had gone 3-3 in seven games, with a 4.75 ERA, but had frequently been victimized by defensive miscues; 12 of the 41 runs charged to him (or almost 30 percent) were unearned. In 55 innings pitched, McLaughlin gave up an unsightly 69 base hits (translating to a .309 OBA), walked 26, and hit two batters. He struck out only 17, but completed five of his six starts. He had also helped his own cause with the stick, batting .304 (7-for-23), with two doubles and three RBIs. Now returned home permanently, bachelor McLaughlin alternated between living in a Plainfield apartment with his widowed mother and four other unmarried siblings, and residing at the nearby home of older brother John and his family.39 Warren continued to play ball with local semipro teams for a few more years, but for the most part he concentrated on his work as a sheet-metal fabricator for George Tobin & Company in North Plainfield and civic activities, being a member of the Plainfield Elks Lodge and the North Plainfield volunteer fire department.40 In the summer of 1923 McLaughlin, a man of “vigorous health,” was stricken with pleurisy, which soon worsened into empyema, a life-threatening lung condition. An operation to arrest the condition was unsuccessful, as was a second surgery.41 On October 22, 1923, Warren McLaughlin died at Muhlenberg Hospital in Plainfield. He was 47.42 Funeral services officiated by a local Baptist minister were conducted at the Plainfield home of John McLaughlin, followed by interment at Hillside Cemetery in nearby Scotch Plains, New Jersey.43 Predeceased by his parents and older brother William, Warren McLaughlin was survived by his five remaining siblings. The writer is indebted to librarian Jane Thoner of the Plainfield Public Library, Special Collections Department, for supplying local reportage on Warren McLaughlin. Sources for the biographical information provided herein include the Warren McLaughlin file, complete with player questionnaire submitted by a niece in 1971, maintained at the Giamatti Research Center, National Baseball Hall of Fame and Museum, Cooperstown, New York: family-tree information posted on Ancestry.com, and certain of the newspaper articles cited below, particularly the McLaughlin obituary published in the Plainfield (New Jersey) Courier-News, October 22, 1923. Unless otherwise noted, statistics have been taken from Baseball-Reference.com. 1 Plainfield City Directories of the early 1900s often list our subject as C. Warren McLaughlin, while the October 1923 obituary published in the Plainfield Courier-News gives the deceased’s name as Warren C. McLaughlin. US Census reports from 1880, 1900, and 1920 specify Warren (no middle name or initial) McLaughlin, and that is the way that McLaughlin himself signed his name to his World War I draft registration card. But Warren A. McLaughlin is the name provided on the McLaughlin death certificate (informed by his older brother John G. McLaughlin) and the player questionnaire completed by niece Jean Boyd; and is the name presented in all baseball reference works. What the A. stood for is unknown to the writer. 2 The 1880 and 1900 US Censuses indicate that Warren was born in New York (as were his two older brothers), and New York is the McLaughlin birthplace given by Baseball-Reference and Retrosheet. But the US Census for 1920 indicates that Warren was born in New Jersey (as were his four younger siblings), and his death certificate and Giamatti Research Center player questionnaire specify that Warren was born in North Plainfield, as do other baseball reference works. Decisively to the writer, the detailed October 1923 obituary published in the Plainfield Courier News states unequivocally that Warren McLaughlin was born in North Plainfield. 3 The 1900 US Census indicates that Warren was born in January 1877, and McLaughlin himself gave his draft board a birth date of January 22, 1877. But all other authority (death certificate, obituary, Giamatti Research Center player questionnaire, baseball reference works) lists his birth year as 1876. 4 Warren’s siblings were John (born 1872), William (1874), May (1879), Louis (1884), Hattie (Harriet, 1885), and Joseph (usually called by his middle name, Eugene, 1887). All the other McLaughlin children had middle names, as well. So did his parents, suggesting that Warren was given a middle name also. 5 Baseball reference works provide no height for McLaughlin, but list his major-league playing weight as 170 pounds. The origin of this weight figure was not discovered by the writer. 6 As per McLaughlin’s obituary in the Plainfield Courier-News, October 22, 1923. 7 Ibid. An account of how McLaughlin outpitched another ringer (Brooklyn Superbas left-hander Jack Doscher) in a 1903 Alis game was front-page news locally. See the Plainfield (New Jersey) Daily Press, August 24, 1903. 8 Whether Warren was the 12-10/.245 pitcher-outfielder named McLaughlin in 28 games for the 1896 Carbondale Anthracites of the Class B Pennsylvania State League is unclear. 9 A recent thumbnail description of McLaughlin identifies him as “a protégé of Jack Dunn.” See David Nemec, The Rank and File of 19th Century Major League Players: Biographies of 1,084 Players, Owners and Managers (Jefferson, North Carolina: McFarland, 2012), 61. 10 As reported in Sporting Life, May 19, 1900. But this McLaughlin may just as well have been a well-traveled minor-league pitcher-shortstop named Michael McLaughlin. 11 Sporting Life, July 7, 1900. 12 Philadelphia Inquirer, July 8, 1900. The article headline read: “Tebeau’s Muffers Hard on Bernhard; McLaughlin, the New Fixture to the Phillies Pitching Staff, Relieves Him and Puts a Check to the Bingling.” In its week-later game summary, Sporting Life stated that “McLaughlin, the amateur, took [Bernhard’s] place and did fairly well.” Sporting Life, July 14, 1900. 13 See, e.g., the Canton (Ohio) Repository, Evansville (Indiana) Courier and Press, and Rockford (Illinois) Morning Star, July 8, 1900. Other wire-service game accounts were even more favorable, reporting that McLaughlin “did very well.” See, e.g., the Boston Herald, Daily (Springfield) Illinois State Register, and Springfield (Massachusetts) Republican, July 8, 1900. 14 Sporting Life, July 28, 1900. 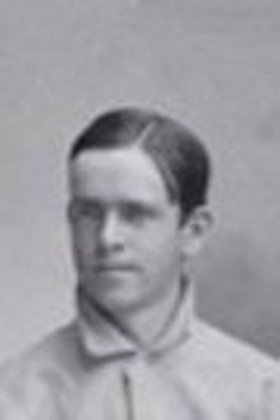 15 Baseball-Reference places Warren McLaughlin on the roster of the short-lived Bangor club of the New England League in 1901, but the McLaughlin with Bangor was more likely pitcher-shortstop Michael McLaughlin, formerly of the disbanded New York Mets of the Atlantic League. 16 The no-hitter is memorialized without specifics in The Encyclopedia of Minor League Baseball, Lloyd Johnson and Miles Wolff, eds. (Durham, North Carolina: Baseball America, Inc., 2d ed. 1997), 136. 17 The description of McLaughlin in the Cincinnati Commercial Tribune, September 17, 1902. 18 As reported in the Jersey Journal (Jersey City), June 27, 1902. 19 Chesbro and Tannehill both pitched for the New York Highlanders in 1903. 20 According to Sporting Life, September 20, 1902. 21 Sporting Life, September 27, 1902. 22 Sporting Life, October 11, 1902. 23 As reported in the Trenton Times, October 17, 1902, and Sporting Life, October 18, 1902. The $3,000 salary figure was published in the Washington (DC) Evening Star, December 2, 1902. 24 . Sporting Life, March 21, 1903. 25 As reported in the Philadelphia Inquirer, May 16, 1903. During his time on the shelf, McLaughlin attempted to maintain form by pitching batting practice to the varsity nine at Princeton University. 26 Sporting Life, May 30, 1903. The hometown newspaper concurred, observing that “while the Pirates bumped [McLaughlin] hard, it was not his fault altogether that the visitors scored 13 runs.” See the Philadelphia Inquirer, May 16, 1903. 27 Nemec, 61. Thanks to Pete Palmer for confirming that National League daily sheets for the 1903 season charge the loss to McLaughlin. Email to Tom Ruane and the writer, August 31, 2014. 28 As reprinted in Sporting Life, June 27, 1903. 29 As reflected in the Plainfield Daily Press account of the hometown Alis’ defeat of the St. Mary club. “The defeat of the Saints was largely due to their inability to hit McLaughlin, he having them completely at his mercy.” August 24, 1903. 30 See the Springfield Republican, February 28, 1904. 31 Curiously, the 1905 Reach Guide provides the record of every Connecticut League pitcher with at least eight decisions, but contains no pitching stats for Warren McLaughlin. 32 Pitching for the Elizabeth All-Stars in August 1904, McLaughlin dropped a 6-3 decision and the Union, New Jersey, county championship to the Rahway FC. 33 As per the 1906 and 1907 editions of the Reach Guide. Springfield acquired McLaughlin and third baseman Joe Curtis in a mid-August 1906 trade, according to Sporting Life, August 24, 1906. 34 Springfield Republican, August 18, 1906. For the season, McLaughlin batted .299 (41-for-137). 35 As per the Springfield Republican, October 12, 1906, and Sporting Life, October 13, 1906. Clubs in the new league were to be situated in the central New Jersey municipalities of Elizabeth, Rahway, Plainfield, New Brunswick, Somerville, and Westfield. 36 Connecticut League statistics for the 1907 season were published in Sporting Life, November 6, 1907. 37 See the Springfield Republican, July 12, 1908. 38 Plainfield Daily Press, February 1, 1909. 39 As per various City of Plainfield directories. Of the seven McLaughlins, only John and William ever got married. The 1910 US Census places mother Anna Elizabeth McLaughlin and her adult children May, Louis, Hattie, and Joseph Eugene in a Manhattan apartment, while Warren resided in Plainfield with his brother John. In the following years, Warren reunited with Mrs. McLaughlin and his siblings, spending the rest of his life living with them in an apartment at 124 Madison Avenue, Plainfield. 40 As per McLaughlin’s obituary published in the Plainfield Courier-News, October 22, 1923. Late in life, McLaughlin was engaged as a plumber’s assistant. 42 The death certificate contained in McLaughlin’s file at the Giamatti Research Center lists the cause of death as “suppurative pneumonitis,” with empyema cited as a contributing factor. Empyema is defined by the National Library of Medicine, an affiliate of the federal government’s National Institutes of Health, as “a collection of pus in the space between the lung and the inner surface of the chest wall (pleural space.” It is usually brought on by an infection. Pneumonitis is the inflammation of lung tissue. 43 As per the Plainfield Courier-News, October 24, 1923.